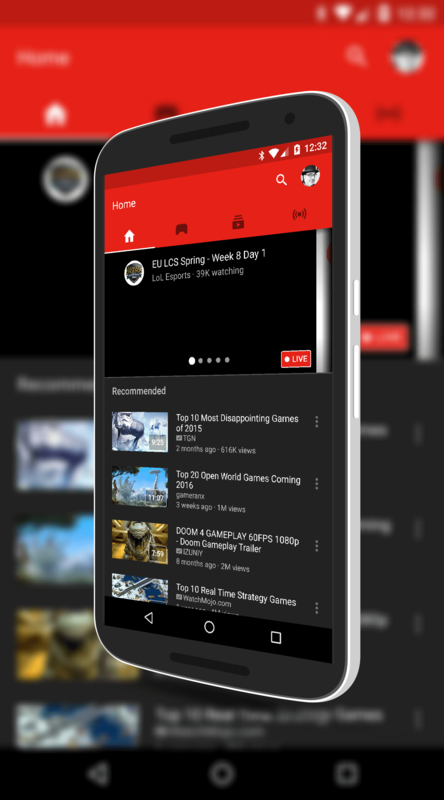 YouTube Gaming, the gaming social platform-meets-apps launched last year, has been updated for Android and with the update comes a lot of improvements and changes. The update is hitting the Google Play Store now and if you have the app installed, you should have the update coming to you over the course of the next couple of days. The list of updates in the app is pretty extensive and many of these changes impact how you use the app. Probably the most visible and wanted one by users is the ability to have a pop-out player that stays visible over other apps. Now you can continue to watch the game play you are interested in while doing other things on your phone. Also, if you are recording or streaming, you can now pause/resume with Mobile Capture. Here is the full run down of the changes in this update. Overall, when you look at the user experience, YouTube Gaming does have a few tweaks, mostly the new Live tab that is more in compliance with app design today. If you haven’t checked out YouTube Gaming and want to get tips and tricks to play your favorite games, it is a great resource to get them and watch players to learn from them.